Homes for sale in Leland, NC are easily found when you know the right place to look…like the community of Brunswick Forest. Brunswick Forest is the fastest growing community in Leland, NC, and it is no wonder since its location is conveniently nestled near the coast of North Carolina. 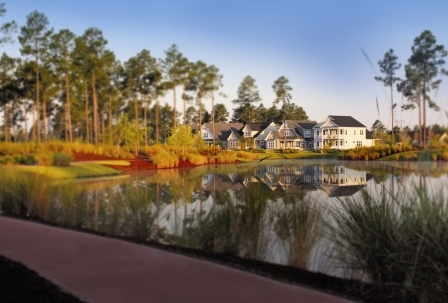 Brunswick Forest is a 4,500-acre master-planned community featuring mature natural landscapes and found just 6 miles outside of historic Wilmington, NC. Are you interested in homes for sale in Brunswick Forest? Click the link above to find all of the available homes Brunswick Forest has to offer in Leland, NC. Want even more information on Brunswick Forest? If a laid back yet active lifestyle is what you’re interested in, look no further than the Brunswick Forest community. Brunswick Forest is centered around lifestyle, amenities, convenient shopping and beautiful homes. This community’s prime location makes living the good life a cinch. Brunswick Forest is just minutes from dining, shopping, history, and Wilmington’s culturally rich atmosphere which makes buying a home for sale in Brunswick Forest an easy decision.